My name is Benjamin Lind, I am 33 years old and work as a self-employed English teacher in my hometown Braunschweig (Germany) which sometimes leaves me little room for leisure activities or hobbies. My life hasn´t always been easy and there have been quite a few blows of fate but my circle of friends is my rock I can always lean on. Since April 2014, I am working on a documentary film about my troubled past and how the Bond series has transformed me into the person I am today. This means a lot of extra work but is an exciting ride at the same time. The film will premiere in Spring 2016 and will only be shown for charity purposes. 2. How long have you been involved in your 007 activities and what do you want to tell us and other Fellow Agents about it? I saw my first Bond film, "GoldenEye" (1995) in 1996 and was hooked from the moment the opening sequence had finished. From then on, I actively followed the production of every Bond film but never much engaged in the global Bond community. This significantly changed in 2012 when I started my blog "The Bond Bulletin". 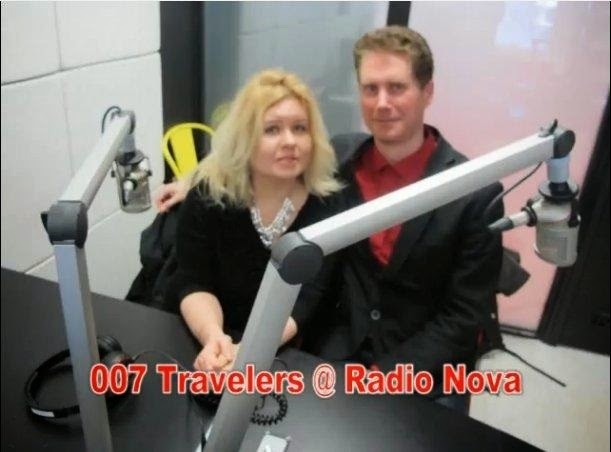 My name got around and I started to meet other Bond fans from all over the world. 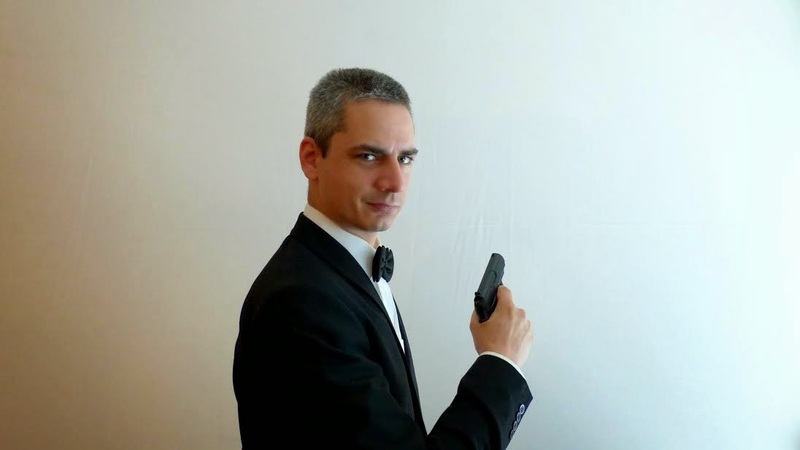 In April 2014 I was a founding member of the James Bond Club Germany and hold a position in the executive committee as an adviser. Through my documentary film, I had the opportunity to re-live many happy memories with Bond and had the chance to meet so many wonderful people from the Bond universe. The first one I actually met in person was our new "Q", Ben Whishaw. This was in 2013 after a theater performance in London where he was on stage together with Dame Judi Dench. 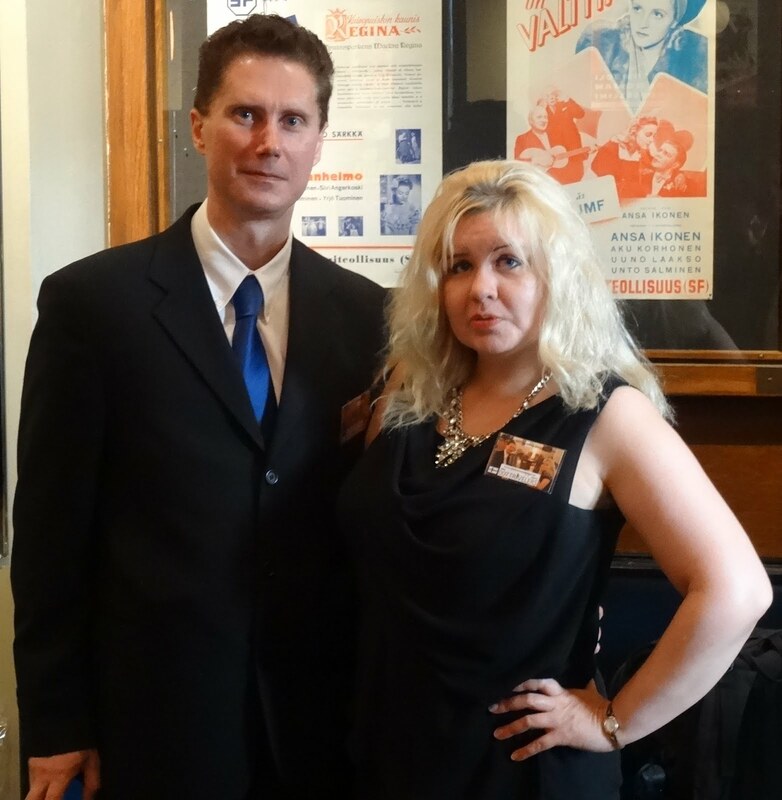 Next, at a screening of "From Russia With Love" (1963) in my hometown, I met and became friends with actress Nikki van der Zyl who provided the voices for many of the Bond girls between 1962 and 1979. I am in constant contact with Nikki and currently translating her autobiography into German for a 2015 release. When I began work on my documentary, I tried to get several stars on board. The first to say "yes" was composer David Arnold whom I met and interviewed in July 2014 after his concert debut. The same evening I ran into lyricist Don Black (actually for a second time) who wrote the lyrics for "Thunderball" (1965) and many more Bond classics. After that, Mads Mikkelsen was probably the biggest catch to date in November 2014. There are a few more Bond stars I will have the pleasure to meet in 2015. 4. Your favourite Bond actor? (leading male role) Why? I grew up with Pierce Brosnan and always liked his slick portrayal of Bond which was a bit too slick and clean for many fans of the series. Nevertheless, I copied a lot from him and the way his 007 behaved on screen. But I can find wonderful qualities in every actor who played Bond, so I never really decided on a favourite. I love Roger Moore´s humour, Dalton´s bluntness and Daniel Craig has earned my admiration for playing the character very close to the original Fleming stories. 5. Your favourite Bond film? Why? Also, no favourite there. I like them all, but really have a thing for exciting action blockbusters. The Brosnan films are very high up on my list, Craigs "Casino Royale" (2006) is on top of that and I give "On Her Majestys Secret Service" (1969) a honorable mention. 6. Which is the best place where you have traveled so far? Why? I haven´t been to many Bond locations actually, but London has always been my favourite. There are so many locations in just one city and so much you can experience. Plus, London is a historic place and capital of my British heart. It´s stylish and iconic. 7. Which is the place where you would like to visit but have not yet been? Why? I would really love to see the Greek islands where "For Your Eyes Only" (1981) was filmed. I have a soft spot for romantic locations and these also include the winter locations of "On Her Majesty's Secret Service" (1969) in Switzerland. I have actually just planned a trip there in April 2015.